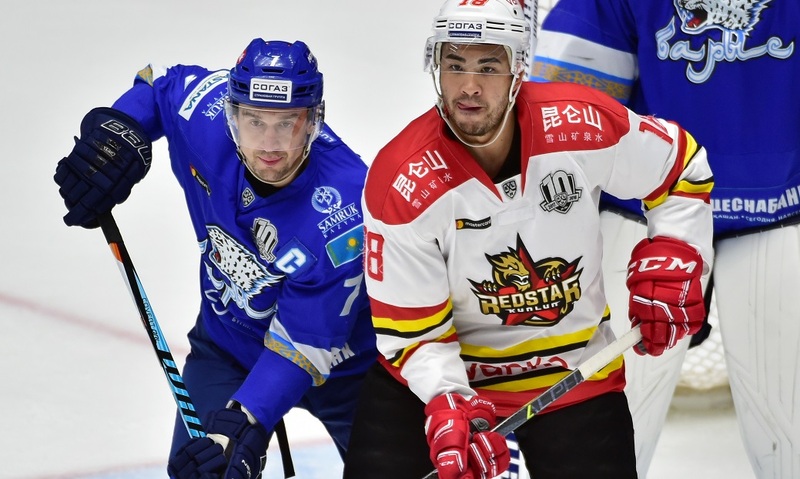 Kunlun Red Star captain Brandon Yip gave an exclusive interview to KHL.ru and discussed his career, his decision to leave North America and the progress of ice hockey in China. Red Star is coming to the end of its third season in the KHL. Unfortunately for fans of the Chinese club, whose numbers are growing with each passing campaign, the Dragons will not be going to the playoffs despite making a solid start to the season. After that promising beginning the team suffered an epidemic of injuries and that severely hampered its chances of moving into post-season. Meanwhile, the steady development of Chinese hockey continues, thanks in no small part to the KHL team. One of Kunlun’s leaders, captain Brandon Yip, told us more. Brandon, there aren’t all that many interviews with you available online. Perhaps you could start by telling us a bit about yourself and how you became a hockey player? I grew up in a small town called Maple Ridge, not far from Vancouver. Both my parents are Chinese, but they were born and raised in Canada. My grandmother on my father’s side was Irish; she was born and raised in Ireland. My other grandparents were also born in Canada, but their parents had come from China. As a child I dreamed of being a pro hockey player. I used to play for the local kids’ team, or just scrimmage with the neighbors in the yard. It wasn’t just hockey: until I was 16 I played basketball and baseball as well but once I left school I finally focussed on hockey. After I graduated in 2004 I was drafted by Colorado, which made me extremely happy. Therefore my goal was to continue into higher education, get a grant for my studies and keep playing a high level of hockey. That’s why I went to Boston in 2005 and studied for four years while playing hockey. Colorado was keen to keep hold of my rights and sent its scouts to follow my game. That’s why I can say that this was the start of my pro career. In my first year I was the best rookie of the season and in my final year (2008/09) we won the championship. When did you start playing in the NHL with Colorado? I signed a one-year, two-way rookie contract with Colorado and, like everyone, headed to the summer camp. Unfortuately, I broke my arm there and was out of the game for a few months. But once I was fit again, I immediately made my AHL debut for Colorado’s farm club. After six games, I got a call from the head coach of the Avalanche and he told me: “Pack your bags and get ready – your next game is in the NHL!” It was a huge shock, of course: I’d assumed that my injury meant I’d be playing the whole season in the AHL. In the end, I spent two seasons there before I was traded to Nashville at the start of my third. In Tennessee we had a great season, making the playoffs and getting through the first round. What were your most memorable moments from your time in the NHL? Definitely my first game. For my NHL debut in Denver, my parents and many of my friends were able to come. That game, playing on home ice and picking up a good win, feeling that I’d fulfilled one of my childhood dreams and seeing what it meant to so many of the people who are close to me – that was one of the best feelings in my career. Also my first goal, that’s something that everyone is waiting for and you keep turning it over in your head until you finally get one. And, of course, the playoffs are simply an incomparable experience. It must be really hard to lead a team when there’s no depth on the roster. But, unfortunately, hockey is what it is and when a team gets on a losing streak the management has to take a decision. How hard was it to make a change in your career and decide to come to Europe after 10 years in North America? Yeah, I guess when you’re young you assume you’ll play in the NHL forever. My last season in America, I was on a two-way contract with the Coyotes but, due to a series of injuries, I never really got my game together in the NHL or the AHL. And the competition is so intense, every year there’s a new crop of young players who are fighting for their chance in the NHL and looking for their moment in the spotlight. All the same, I’m happy that I was able to play as many games as I did in the league, even though it was time to move on. In the end coach Jeff Ward invited me to join a German team, Adler Mannheim. I’d worked with him before in Boston and he knew me. I was more than happy with my first experience in Europe – we won the championship. It wasn’t just your first time playing in Europe, but also living there. Were there any unusual situations when you first arrived? Yeah, there was one. My first week in Germany turned out pretty expensive! The club gave me a car but I didn’t know that there were very strict penalties for speeding or running red lights. In America, most of the time, it only matters if the cops see you; in Germany they use cameras and I was landed with a hefty bill. 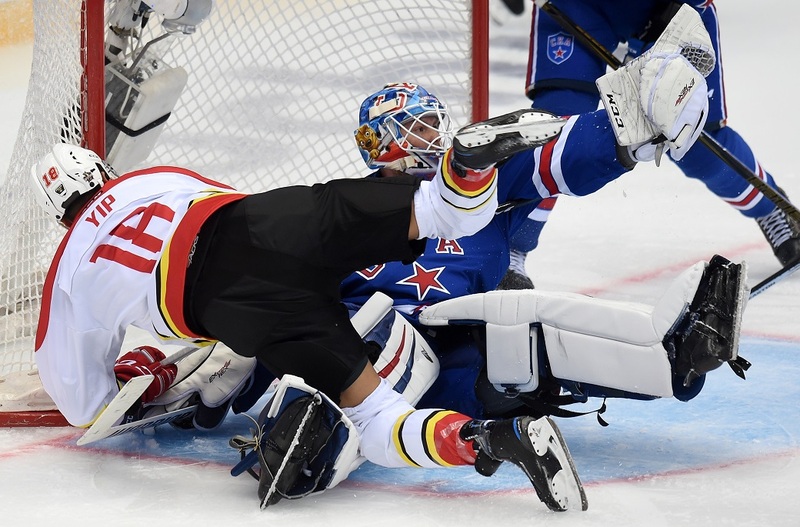 Kunlun Red Star is in its third season, but you only arrived after the first campaign. Didn’t you want to play in China earlier? 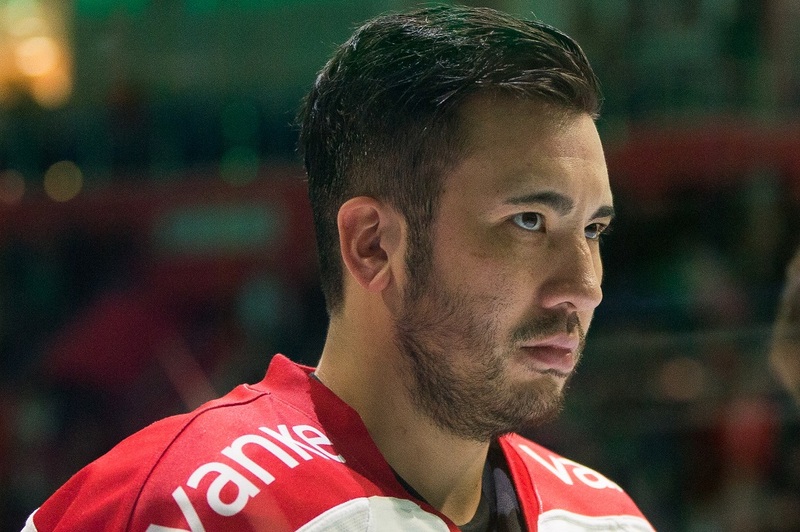 The club got in touch with me when it was building its roster for the first season but at that time my agent wasn’t so good and I couldn’t reach an agreement with Kunlun because of some financial and paperwork issues. After that I stopped working with an agent and started representing myself. It would have been good to start in the KHL a season earlier, this is the strongest league in Europe and there are many skilled players here. I’m happy that I got here in the end. Did it take long to adapt to life in China? Not really. We live in a modern district, it’s set up a bit like a Western country and everyone speaks English. Everything you need is at your fingertips. Oddly enough, before joining Red Star, I’d never been to China before. And how about the hockey? That took a bit longer. It took most of my first season to get up to speed. There’s more space on the ice here, it’s less of a contact sport and you really need to know how to get in the right positions. Your personal stats suggest that this season is much better than last. What’s changed for you? I think there’s a few reasons. First, I’ve already got a KHL season under my belt and that experience helps me a lot. And my role on the team has changed, I get more time on offense trying to create opportunities. And being captain must help as well? Definitely. It helps me to be even more responsible in my game, because I’m not just worried about my own performance but about the whole team. I’m very proud that I’ve been trusted to be captain of the Dragons. Do you feel like a bit of a role model for the Chinese players at the club? Yes, the guys often have questions for me and I try to advise them. I like to tell them and show them everything I can. But these are good guys, they work hard and put their hearts into it so they can get to the next level and, if you ask me, they’re getting there. I understand that lots of people are looking up to me and that’s another responsibility. It keeps me on my toes and it’s a good motivation to make sure that I’m always giving everything that I can. After two years in China, what changes have you seen in hockey there? It’s definitely changing for the better. Now we’re seeing youth teams, the government is creating a load of different programs to develop kids and junior hockey. As far as I’m aware, that program includes building 100 new arenas in China, which is incredible! 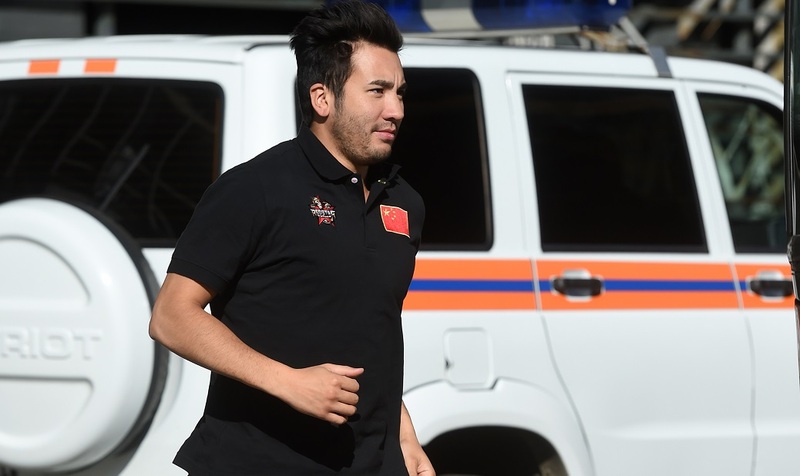 With China preparing to host the Winter Olympics, the authorities are doing everything right now to help the national team put on decent performance. We’re also seeing more fans following Kunlun. When we come to Beijing, there are even more of them. Although I remember how, in my first games in China, people would leave at the first intermission thinking that the game was over. Are you hoping to play for Team China? Definitely. Right now we’re sorting out a few issues about citizenship and getting a passport. It’s not easy to become a Chinese citizen. Looking at the current season, it all started so well but it hasn’t really played out how you’d hoped. You know, it’s the first time in my career that I’ve seen one team take so many injuries, especially to key players, real leaders out there on the ice. I’ve already lost count of how many injuries we’ve had. Sometimes we could only play with three lines because we didn’t have enough players, and that’s really hard. I think that’s been Kunlun’s big problem this season. Jussi Tapola was the first European coach in your career. Did you pick up anything new from him? Jussi did a lot of good work but that wave of injuries left him with some big problems. I guess it’s really tough to lead a team and try to achieve something when there’s no depth to the roster and so many guys are unhealthy. But unfortunately, hockey being what it is, when a team gets on a losing streak the management takes decisive action. Jussi did a great deal to create a close-knit team and a friendly atmosphere among the players, he spent a lot of time with the younger players. What has Curt Fraser brought to the team after replacing Tapola? He’s brought a lot. He’s an experienced coach and after working with him it’s easy to understand why he spent so many years in the NHL. He brings some solid experience and he knows his hockey from A to Z. Right now he’s building a new system for our game, with particular attention to the defense. We’re still getting used to it but I think it can bring us success if we stick with it. Red Star has an international roster. Who brings the team together? There’s a few guys. Michael Latta is always full of laughs and energy – he’s the joker in the locker room. It’s great when you have someone like that on a team. We spend a lot of time on the road and it’s easy to get tired of so much travel but Michael is always upbeat and can help to lift the mood. Justin Fontaine is another who always supports they guys on the ice and in the locker room. He’s always got something to say. And, as captain, I try to bring the guys together on and off the ice. We’ve put together a great group here. When my career comes to an end, I’ll miss these guys.